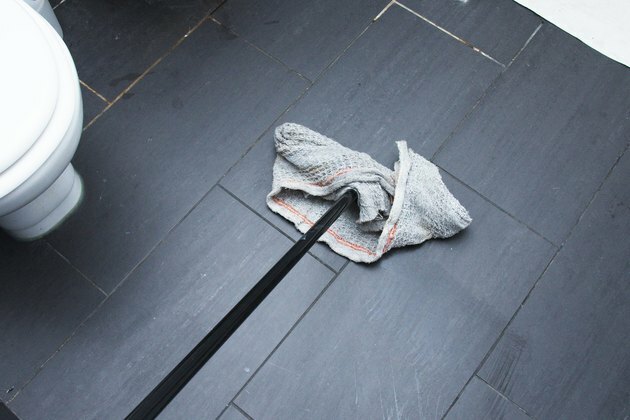 Urine odor on tile floors may remain even after you mop with a strong floor cleaner. 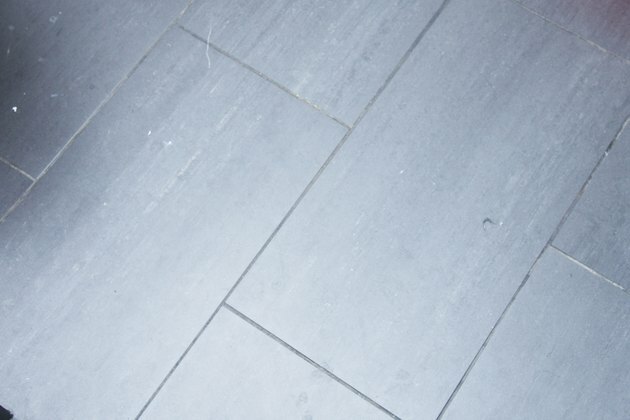 One of the few ways to deodorize the floor is to use a cleaner that breaks down urine's components. This means using special cleaners, which you can easily find in pet stores. Use these cleaners the right way--most work best at room temperature, for example--and you'll be well on your way to an odor-free floor. Fill a bucket with hot water. 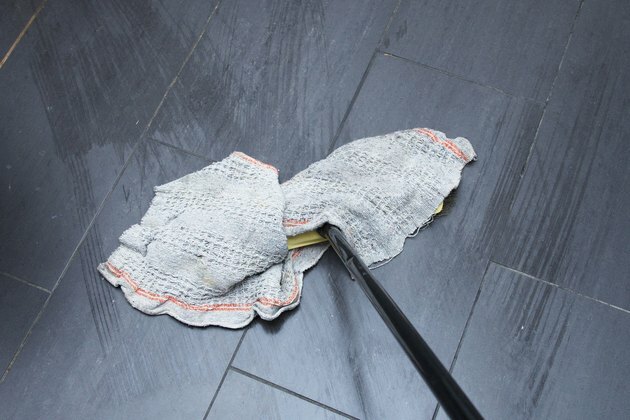 Mop the floor with fresh hot water to remove traces of other cleaners you may have previously used. Dry the floor with a towel or allow it to air dry. Apply an enzyme-based pet mess cleaner or urine neutralizer (pet products work on pet or human urine) undiluted to the floor. 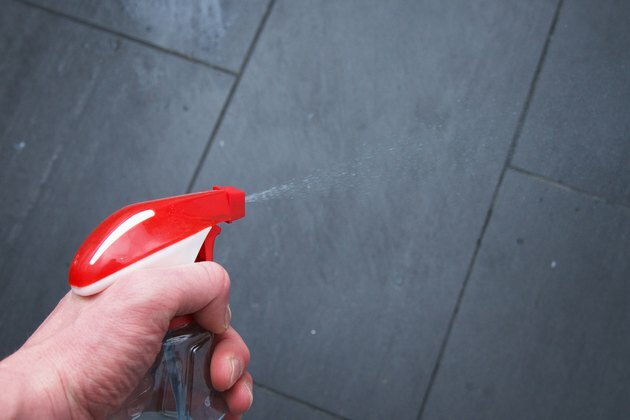 You may simply pour the cleaner over the floor--or spray, if it is in a spray bottle--making sure the cleaner covers any grouting as well. Close the door to the room and let the cleaner stay on the floor, undisturbed, for the time indicated on the label, usually 15 minutes or longer. Pour out the old water rinse out the mop. 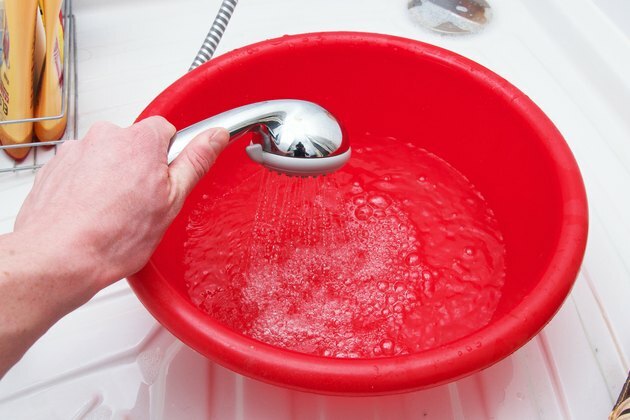 Add fresh warm water to the bucket. Mop the floor again with the clean water, but first check the enzyme product label to make sure it does not direct you to skip this step. If the urine odor persists after this, reapply the enzyme formula and this time wait a longer time before rinsing.